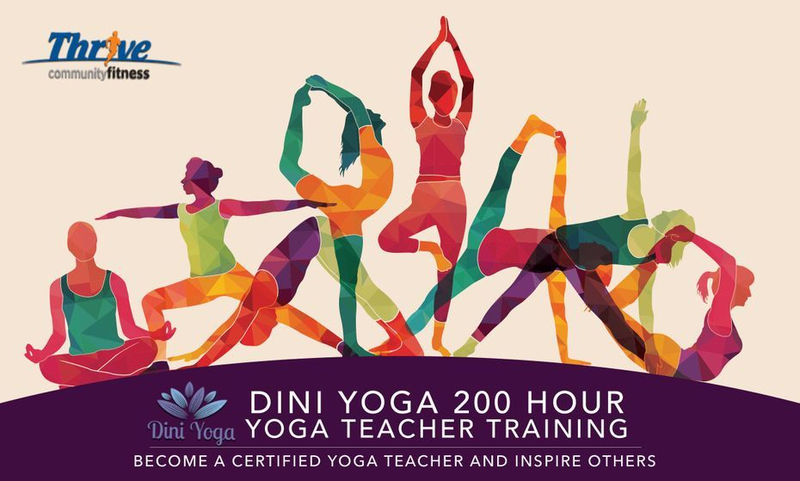 Transform your yoga practice and become a certified yoga instructor with Dini Yoga 200 Hour Yoga Teacher Training. 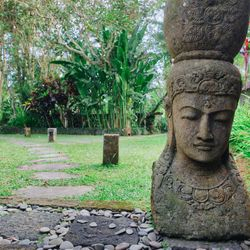 Build confidence and find your true wisdom of yoga with this three weeks intensive training. 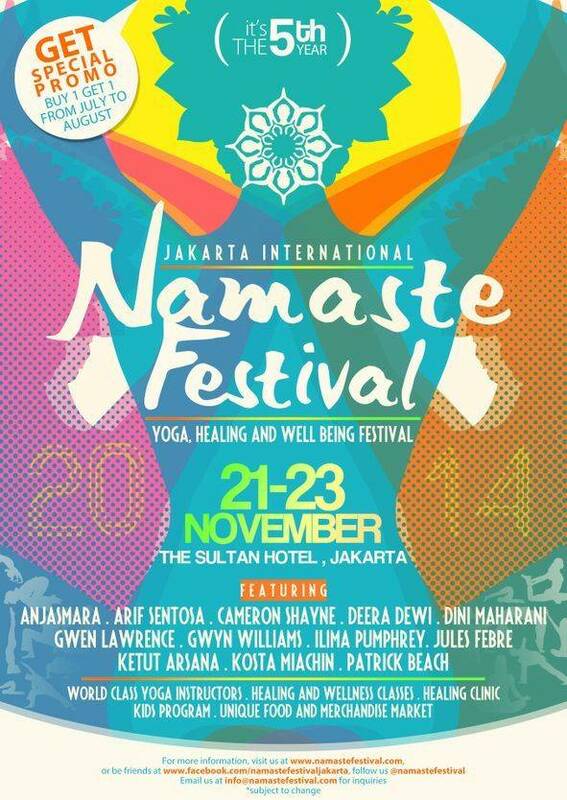 This training offers only 10 spots for a better personal growth and expericence of yoga. 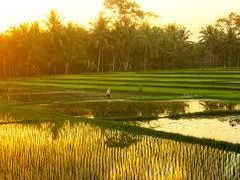 Guided and Assisted by Dini Maharani and her experienced Alumni, this training will lead you to your true path of practice. Payment plans and Installments are also available. 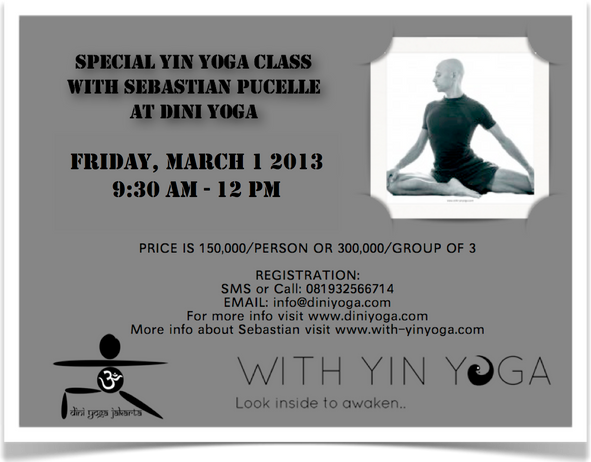 Please contact Dini at info@diniyoga.com to set up this payment. 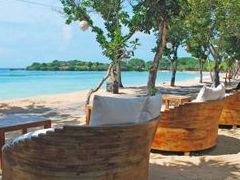 Enrollment Deposit $550 or IDR 7,500,000. Enrollment deposits will be deducted from full tuition. Enrollment Deposit holds your space in this training. Deposits are non-refundable, but transferable. For Registration please click here! Enrollment Deposit $550. Enrollment deposits will be deducted from full tuition. 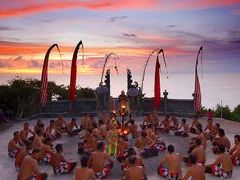 Join us for a magical experience of yoga and cultural adventures of the island of gods, Bali. 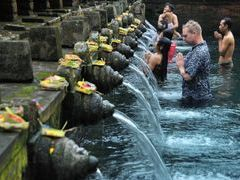 Learn more about customs and traditions of Bali through temple visits, Mount Batur Hikes and Balinese Kecak Dance. 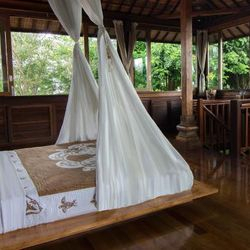 Reinvent and Rejuvenate yourself with daily yoga and meditation classes each day, as well as experience the best Balinese massage experience. 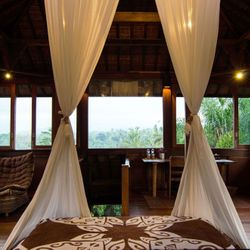 Surrounded by rice fields and the sound of nature, restore and rest yourself in a luxury balinese villas on a high hill of Ubud. 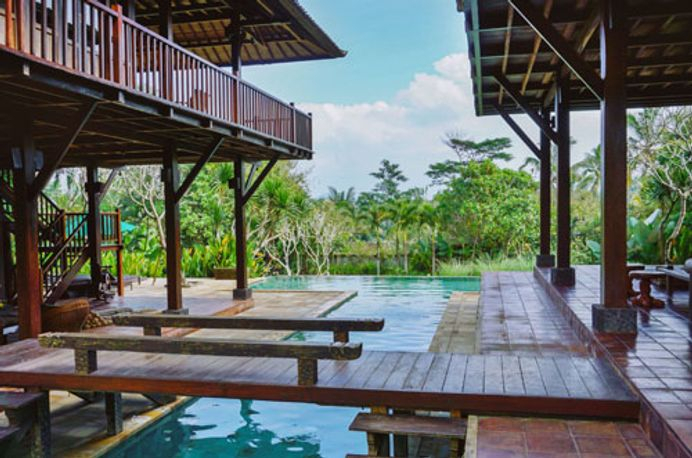 Villa Atas Awan is tucked away in a beautiful tranquil area surrounded by authentic Indonesian country life with green rice paddies and distant volcanoes and it's just a 20 minute drive to the cultural center of Ubud. 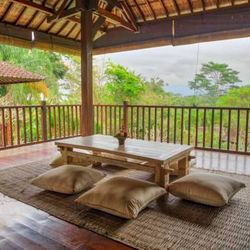 Lovers of traditional architecture and beautiful untouched nature will instantly fall in love with this villa boasting two wooden houses surrounded by a gigantic green tropical garden. 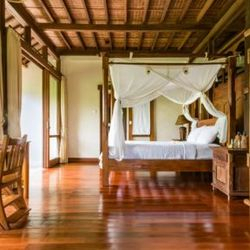 The wooden houses both feature spacious, bright living area's completely open to the beautiful garden and decorated with beautiful antique wooden, bamboo or rattan furniture along with traditional art-pieces. 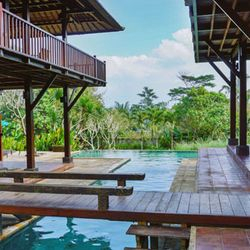 The spaces are adjoined to the swimming pool and connected to each other by a wooden bridge. 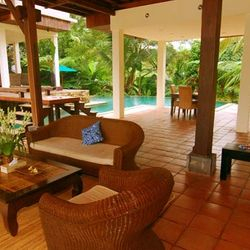 There are lots of seating and lounge area's to choose from, providing you with privacy and comfort and there are thick wooden dining tables carved out of native wood allowing large groups to enjoy delicious meal together. 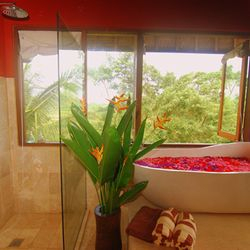 Both houses feature spacious open kitchens equipped with modern facilities and there are guest bathrooms set out terrazzo floors, rain-showers, natural stone washbasins and toilets. Classes with asterisk symbol (*) is optional. To register to this event, please click fill out the form below. Note that deposit is to hold your spot for the retreat. 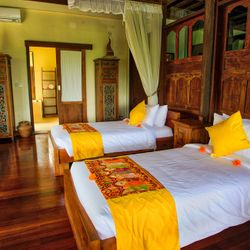 Any cancellation will be resulted to 20% off refund. Become a certified yoga teacher and transform your yourself by unfolding the practice of yoga. Join us for 10 weeks of intensive 200 Hour Yoga Teacher Training and experience the wisdom of yoga by discovering your true potential and find out more about yourself through your practice. Aspire to Inspire. There are only 10 spots available. Register now to book your spot! Payment plans and Instalments are also available. 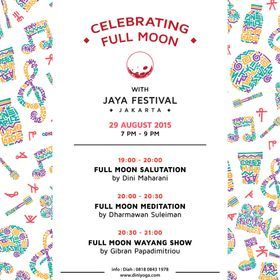 Please contact Dini at info@diniyoga.com to set up this payment. 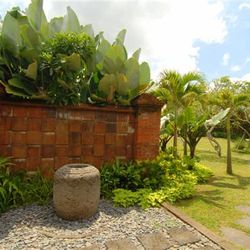 Greet your summer with this detoxifying class to renew your self mind and body. 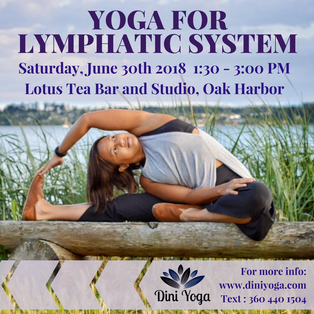 This series of Yoga for Therapy will focus on draining and flushing the lymphatic system to boost the immune system. This session will be working through Pranayama (breath practice), Asana Flow (Yoga Poses), Myofascial self-massage and Meditation to keep your mind and body in union with health and being. Reserve your spot, space is limited! The key to happiness is being healthy mind and body. 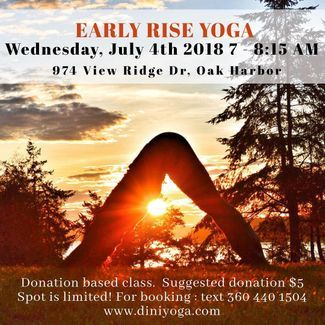 Join me this coming Independence Day with Early Rise Yoga at 7 AM. With overlooking Penn Cove and listening to sound of nature, this is an all level yoga class of meditation, pranayama and asana flow. Space is limited! To reserve your spot, text to 360 440 1504. This is a donation based session, with suggested donation of $5. 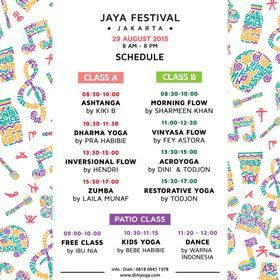 We’ll be setting the class on the lawn, bring your own mat or towel! We have few mats, blocks and straps are available on spot! Want to go upside down but still reluctant to face your fear of falling? Or, somehow you are still figuring out where to start and trying to understand which inversion is right for you and your body? Or, you are on your path to getting your inversion practice deeper but still struggling to find balance and strength? .This inversion clinic is a workshop to help you find courage, confidence, strength, and balance to get you on track on your inversion practice. We will look at our problems from our posture and weakness that hold us back from our inversion practice. Most of us are different in many ways, the approaches of the inversion clinic itself are also different for everybody. This clinic is for all level of practitioners, from beginners who want to start practicing inversions, to intermediate and advanced practitioners, who are still struggling to find balance and strength taking off. Each level will be given a different approach, but everyone will start from the ground up to establish strength with conditioning practice, and mechanical understanding on the anatomy of the muscles that support the practice of inversion. This clinic will prescribe practitioner to take home the knowledge to keep them on track with their inversion practice. Space is limited. Price for this clinic is $25. One of the cause of lower back pain is hip asymmetry. The asymmetry itself can be caused by our daily habits. Our body has a dominant side, e.g right handed or left handed. This could create asymmetry as we develop a habit of using mostly one side only on a regular basis. In this session of Yoga Therapy, parts of it is discussing most common Lower Back Pain and Hip Imbalances like S.I Joint pain, bulged or herniated disc, and sciatica. we will explore Pranayama to assist in pain management as well as release anxiety that can stimulated by pain itself. Yoga Asanas are to condition the surrounding muscles in order create support and help balance the body. Myofascial Ball Therapy is integrated in this session to release build up tension of the surrounding myofascia area of the lower back and hip. This session will be held at @lotusteabarandstudio on May 26 2016 at 1:30pm. Contact Lotus tea bar and Studio for registration or contact the number on post (text only). Space is limited! Book your spot now! Take your yoga practice deeper into three layers of body with deeper understanding of the breath, alignment, and anatomy awareness to find strength and integrity in arm balance. We will explore the depth and length of breath as the foundation of our practice and get in touch with our subtle body. Then we will be working with the breath and alignment combined, to help find strength and stability by working through basic poses and its application in arm balance. A deeper knowledge of anatomy and body mechanics, will be introduced prior and will be workshoped throughout the practice. This workshop includes meditation to bring awareness and get in touch with our causal body. All level of practitioner is welcome, as well as yoga teachers looking to condition their existing practice and refine their understanding on three layers of body. A three hour credit is applicable for yoga teachers as continuing education with Yoga Alliance. Props like strap and blocks are required for this workshop. Space is limited! Fear or Abhinivesa is one of the five Kleshas or Afflictions, described in the Yoga Sutra (2.9). As we take our yoga practice upside down, often time Fear resides within that clouds us with doubts and limits yourself. This workshop is to help you conquer and face fear from within, by educating our mind on how to let go. Then we take a step further by building confidence through the body with anatomy awareness and basic poses that help build strength from within. Once we discover the courage and strength to fly, then we find stability and freedom upside down. This workshop includes lectures to deepen our knowledge of the Kleshas and find the antidote to face our fear. An anatomy application will be spread throughout the practice to help practitioner bring their awareness to the body. A three hour credit is applicable for yoga teachers as continuing education with Yoga Alliance. Become a certified yoga teacher and transform your practice by unfolding the layers of yoga Join us for 3 weeks of intensive 200 Hour Yoga Teacher Training and experience the wisdom of yoga. There are only 10 spots available. Register now to book your spot! Become a certified yoga teacher and transform your practice by unfolding the layers of yoga Join us for 7 weeks of intensive 200 Hour Yoga Teacher Training and experience the wisdom of yoga. There are only 15 spots available. Register now to book your spot! 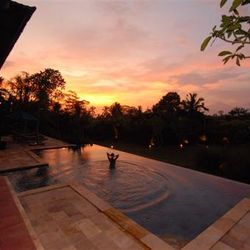 Join Dini Yoga 200 hour Yoga Teacher Training to inspire others and find the potential within by become a yoga teacher. Our training is from September 5 - October 1 2016 MONDAY-FRIDAY only from 8AM - 5PM. Saturday and Sunday are day offs. Trainees are more than welcome to record their training with any form of media. 12:30-2:30 PM Techniques and teaching Methodology, Exploring Anatomy of Asanas, Practice sequencing and understanding Asanas. 3-5 PM Lectures and Discussion about History, Philosophy, Business Aspect of Yoga and exploring self-confident of Public Speaking. For payment method please read below. 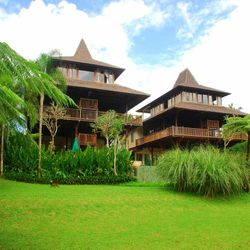 Our Price is at IDR 17,500,000 or US$1600. Trainees can arrange their payment plans with 3 installments for easy funding. Please ask our representative on how to arrange it. 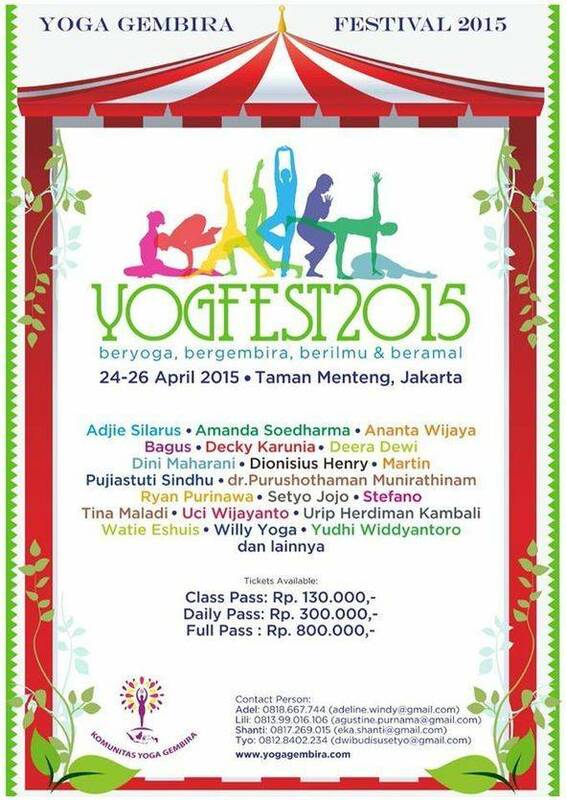 Price includes registration at Yoga Alliance. Payments can be made by cash, via Bank Transfer and Credit Card. If you are ready to pay with Credit Card, please proceed by clicking the button below. This workshop is about cultivating ever-present readiness so that we are better prepared to take risks. Every pose can be used as a preparatory pose for handstand, it’s simply a matter of understand how. In the workshop Marysia will teach the nuances of each posture in Surya Namaskar H; a sequence used to prepare students for Handstand. She will also explain the relevance of other postures to inversions. Students who are newer to going upside down will learn how they can expedite their path toward defying gravity using less advanced postures. Seasoned practitioners will cultivate more stability and explore challenging transitions into and out of handstand. When we practice moving with purpose we are better prepared to leap out our of comfort zone and into a handstand or any other life experience. Students will hold poses for an extended period of time and learn to engage in sophisticated energetic alignment to build strength and awareness. The connections among the postures establish in part one will be applied in a flow class, which will peak with Surya Namascar H.
Dynamic postures and transitions will be analyzed to enhance clarity, precision and power. 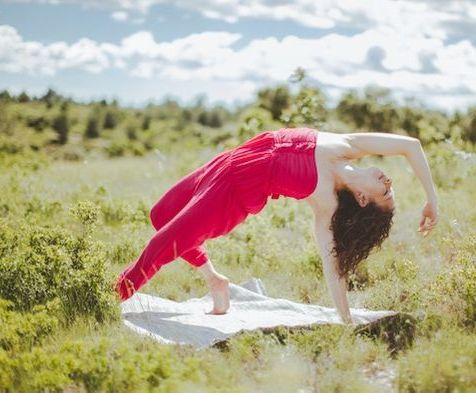 A Handstanding, arm balancing, back bending celebration of a flow including awesome variations of Surya H.
Marysia Weiss is has been practicing yoga for twelve years. She was brought up in New York and moved to California in 2003. 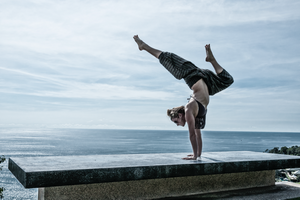 In addition to being a handstand enthusiast, she is a licensed acupuncturist and herbalist. Health and happiness are her passions. Yoga is her means of expression. In September 2013 she got married and moved to Singapore. Currently she is teaching at Pure Yoga, enjoying married life, and embracing Asian culture. WE ARE BACK FOR A SECOND TIME!!! 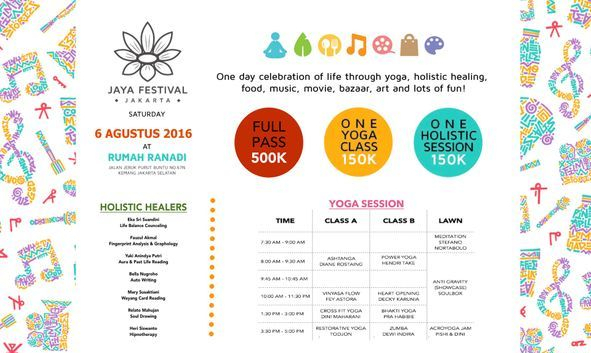 Join us for one day celebration of life with Music, Art, Yoga, Food and Shopping at Jaya Festival 2015. Take your family, relatives and friends along to this event and spend your precious time together with lots of things to do for all ages. For all yogis, unroll your mat and join 8 yoga classes. 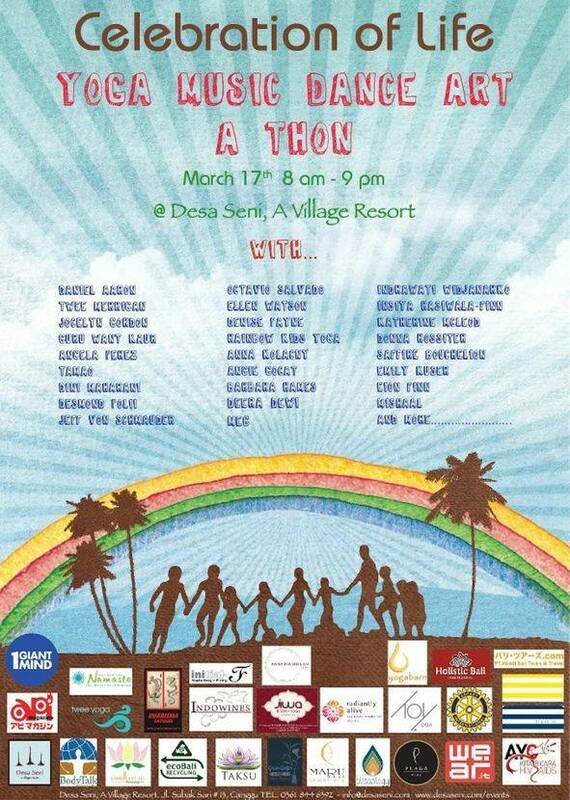 Bring your children too for some playtime with Kids Yoga at the Patio. Check yourself in at the Holistic Healing clinic, to find out about your health. Pamper yourself with some Spa time with massage and manicure-pedicure. Heal your mind and soul with some live music at the spot. Satisfy your hunger with from our local food vendors. Feast your eyes and shop at our Bazaar. Find a spot and relax to entertain yourself with movie screening. Save the date, and invite all your friends and family to join the fun. Join us for a fun Acroyoga Playshop with Greg Franklin. We will explore through Handstands and techniques of Acroyoga. Still afraid to move away from the wall in your handstand attempts? Starting to nail your handstand, but want to stick it longer? Confident in your handstand but looking for some more specialized tips for growth? This workshop is for you! We'll spend some time training drills that help us to find correct alignment and body positioning before we go upside down. We'll work partner conditioning techniques that help us firm up our handstand as well as our spotting/coaching skills. We'll fine-tune our fingers, align our arms, and find more extension than we ever thought possible. The time has come - to stand on your hands! Beginners are welcome! From the solid firmness we found in our handstands, we'll let go into flow. Explore more grace and ease in your AcroYoga transitions with subtle techniques and skills designed to help you align with your partners and play to your strengths. Pouring weight, hugging to the mid-line, aligning breath and timing, are all excellent tools for finding more flow through transitions. We'll drill some skills and find fun ways to elevate our practice. Prerequisites: 6 months-1 year of practice. Comfortability in your chosen role (Base/Flyer) in Prasarita Twist, Star-to-Back-flying & Cartwheels. Greg Franklin is a Level 2 Certified AcroYoga Teacher, AcroYoga Immersion Teacher and AcroYoga Teacher Training Assistant. He holds 350-hours of Vinyasa & Hatha yoga certifica- tion, as well as certifications in various modalities of healing and bodywork. Greg finds the potential for self discovery, empowerment, transformation and fun in com- munity that the practice of AcroYoga embodies ever-present and inspiring. He strives to make the work accessible to all who are willing and interested to give it a try, and invites you to come take a chance and spread your wings! 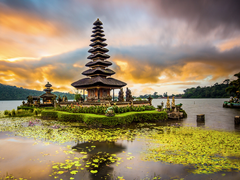 This is Greg's first visit back to Indonesia since studying here years ago, and he's extremely excited to return and share this new practice with his friends old and new Indonesia! Join Joan Hyman, a Yogaworks senior teacher for a New Year Vinyasa Workshop, January 17-19 2014. Joan Hyman is a distinguished YogaWorks Senior Teacher based in Los Angeles, CA. Her teachings come from an organic, intuitive place as she draws upon the joyful study of ayurveda, chakras and meditation. Her challenging and upbeat YogaWorks vinyasa classes are popular among the Los Angeles yoga community. Practicing with Joan is an experience; her instruction is intelligent and light, infused with intensity that stems from years of focused study. Explore your body, mind and spirit with this heated flow workshop, focusing on deep hip opening and releasing all that does not serve you. Finding our seat, we will create space and ease to move toward the more subtle part of the practice—pranayama. We will learn to shift resistance into surrender and find a deep release in not just the physical body, but a release in your soul. Flip Your Perspective Upside Down! This workshop will help you find the confidence and courage to go upside down by integrating deep core and shoulder girdle work. Join Joan for an invigorating practice that emphasizes exploring inversions in a safe and effective way to make them accessible for everyone. This class will help you build your inner strength and confidence to move through obstacles and burn away impurities in the body and mind to help you get up and stay up! 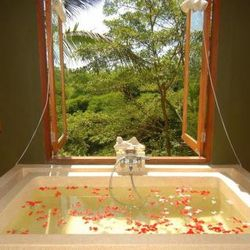 Come transform your physical practice and release any negative patterns that keep you from living in the flow of life. Learn the foundation of a solid practice through alignment, core awareness and breathing techniques. 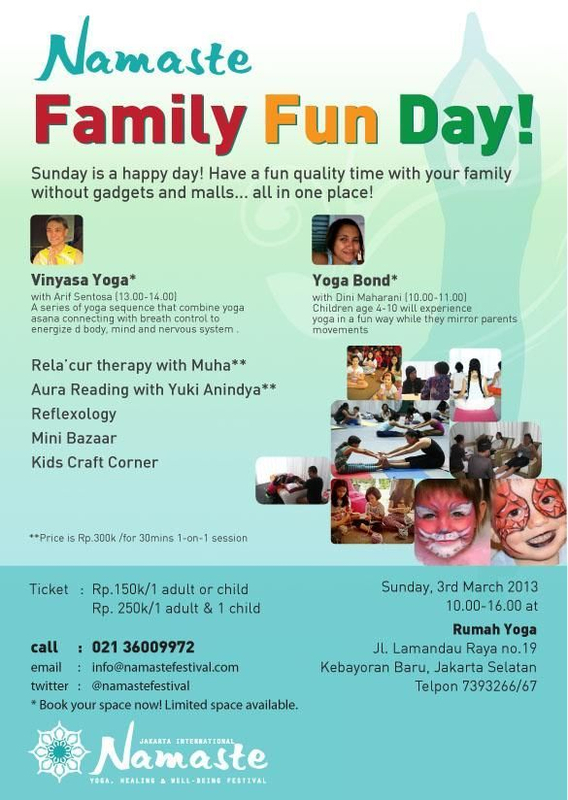 Understand the principles of backbends and inversions, exploring openings in a safe and grounded way. Learn techniques to help different body types, access openings and other fun variations to help you soar in these heart-opening poses! This workshop will explore the foundations of arm balancing and give you tips and tricks to get your wings open and your body off the ground. Learn how to practice these poses from a place of courage, breath and playfulness! No need to fight your way through it—we will learn a pathway to channel these postures into your practice with enthusiasm and ease. Joan Hyman is a distinguished YogaWorks Senior Teacher, who weaves her personal yogic journey into popular teacher trainings, workshops and retreats around the world. Her teachings come from an organic, intuitive place as she draws upon the joyful study of ayurveda (the science of life), chakras and meditation. With over 20 years of experience, Joan is E-RYT 500-hour certified with Yoga Alliance and a dedicated, 10-year Ashtanga practitioner who is proficient in second series and recently has begun Advanced A (third series)—a high level of achievement among Western yogis. Her challenging and upbeat YogaWorks vinyasa flow classes are well liked among the Los Angeles yoga community. Practicing with Joan is an experience; her instruction is intelligent and light, infused with a strong level of intensity that stems from years of focused study. One of Shiva Rea’s most popular vinyasa sequences, Mandala Vinyasa is a circular journey through the flow of asanas. In this workshop, we will begin exploration the power of the Mandala as sacred geometry, as well as a healing and soul-satisfying form of movement. 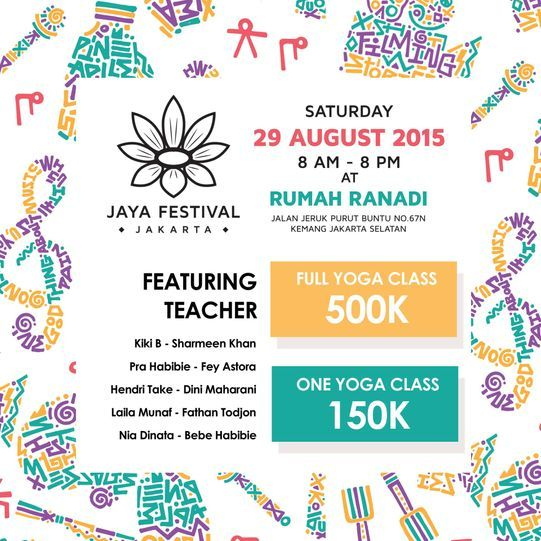 Join us in Mandala Vinyasa Prana Flow Workshop with Mira Jamadi. 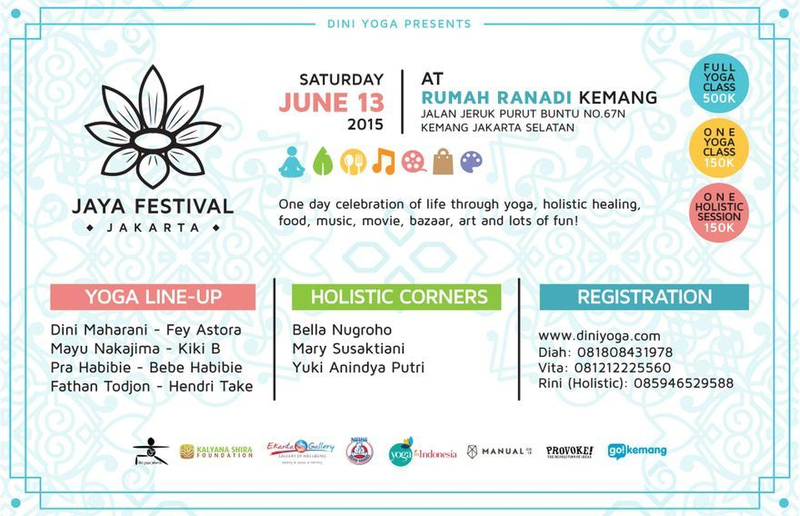 For booking and registration, SMS/call 081932566714 or email info@diniyoga.com, or visit www.diniyoga.com for more info! In this workshop, we will begin exploration the power of the Mandala as sacred geometry, as well as a healing and soul-satisfying form of movement. We deepen our exploration of the power of movement in Mandala formation with a more advanced physical practice. We approach alignment as integration of the energetic body (Pranic body) as well as the structural body (muscles, bones, etc). We begin with an understanding of the energetic movements of Prana (apana- downward, prana-up and outwards, udana-upwards, samana-contraction, and vyana- expansion) that are underlie all of creation and actually create the asanas themselves. We next absorb how the structural alignment of each asana channels an integrated flow of Prana. Starting with Shiva Rea’s dynamic Dancing Warrior 1008 namaskar, this session is designed as a culmination of the first three sessions as holistic energetic movement and yoga practice as a full being experience. Join us for this great opportunity to deepen your practice and knowledge with Advanced Anatomy and Vinyasa Flow Yoga on May 24-26 2013. Expand on your existing anatomy knowledge by applying it to practical rehabilitation techniques to help you and your students overcome their injuries and achieve a lifelong pain-free practice. This 3-day advanced course is designed to teach instructors and practitioners how to devise practical solutions for your body. With a strong hands-on focus to treatment and exercise prescription, instructors will walk away knowing how to identify anatomical and biomechanical imbalances/ deficiencies and effectively prescribe corrective exercises/stretches to iron them out. This workshop is designed for all yoga practitioners and teachers who are interested in advancing their knowledge within their practice. This workshop is a mix of asana flow practice and theory which will enable participants to apply anatomical theory to their individual yoga instruction and practice routines. 3. Full postural analysis in selected asanas. 80% of the population will suffer from lower back pain during their life. Learn how to manage that through correct muscle activation behaviors. You will also be able to provide asana modifications for spinal pathologies and prescribe exercises for strength. The shoulder is the weakest joint in the body. Find out why and how to effectively strengthen it. Also, learn about the muscle in the hip that can be the cause of many lower back and lower kinetic chain injuries. Learn how feet musculature sets the foundation of asanas and how its weaknesses might lead to overuse injuries in your lower kinetic chain. 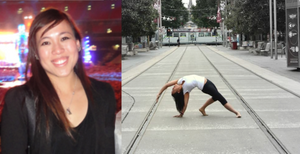 Wynter Chan is a clinical exercise physiologist based in Melbourne, Australia. In addition to holding a Bachelor’s in Clinical Exercise and Masters in Exercise Physiology from Victoria University, Melbourne, she also runs a clinical exercise practice, Melbourne Clinical Exercise. Wynter has extensive experience working with the general population as well as elite athletes as she is also a Strength and Conditioning Level coach, Track and Field Coach and Clinical Pilates practitioner. She has worked with elite dancers at the Australian Ballet, AFL Western Bulldogs and is currently the exercise physiologist for Badminton Australia. She completed her 200-hour Yoga Alliance training in Singapore and is enthusiastic about sharing her anatomy and rehabilitation knowledge with the yoga community. An internationally known yoga teacher, author and health & wellness expert Tiffany Cruikshank travels the globe inspiring people to live their lives to the fullest. Tiffany is known for her lighthearted attention to detail and passionate dedication to the practice. With her training in Acupuncture & Sports Medicine her yoga classes are guided by a strong anatomic focus intermingled with her Chinese Medicine training and her characteristic playfulness using movement as medicine. Tiffany is the Acupuncturist & Yoga Teacher at the Nike World Headquarters in Portland, Oregon and has been featured in various video & print ads including ads for Nike, Lululemon Yogi Tea and KiraGrace. You can take class with her on YogaGlo.com or read her articles on MindBodyGreen.com, Origin Magazine & ElephantJournal.com among others. Her book, Optimal Health For A Vibrant Life, is a 30 day detox for yogis. Click here to know more about Tiffany. For more info about what Tiffany's classes is like, click here! Awaken Your Core PotentialIn this workshop you will learn how to access your deeper core muscles to move more effortlessly through any part of your practice. We'll look at how you can use your anatomy to integrate your core into your entire practice in order to train your body to naturally move more efficiently. In doing so you will find lightness in your standing postures, ease in your inversions & grace in your backbends. 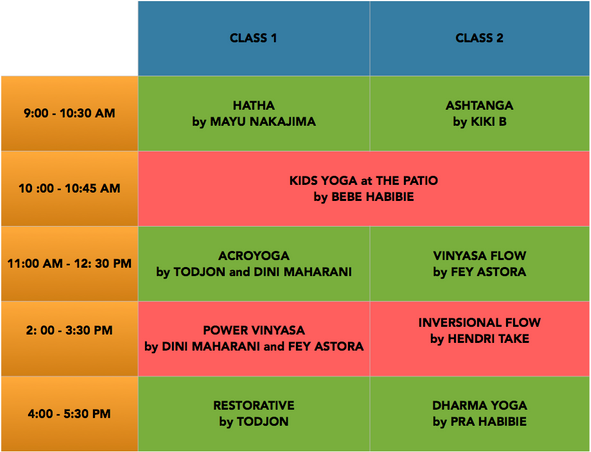 Come prepared for a dynamic & informative Vinyasa class. Fear is often a major stumbling block for arm balancing, but fear no more we will break it all down into bite-sized pieces so that you have something you can work with. Set your fear aside and come play with some fun variations & transitions. Practicing inversions regularly stimulates the metabolism and your body's natural ability to eliminate toxins, lightening you physically as well as mentally. All levels welcome, no need to be an expert but if you are a frequent flyer there will be some options to mix it up. Opening your hips & your heartAs a society, we tend to hold a lot of tension in our shoulders & our hips which ultimately affects the rest of the body. In this practice, we look at the physical & mental practice of shedding the layers that inhibit us so that you approach the world with a fresh perspective. Tiffany will lead you deep into your body, unveiling the numerous therapeutic benefits of hip & heart opening. You will notice how releasing tension and holding patterns that have developed over years can change your perspective of the world. 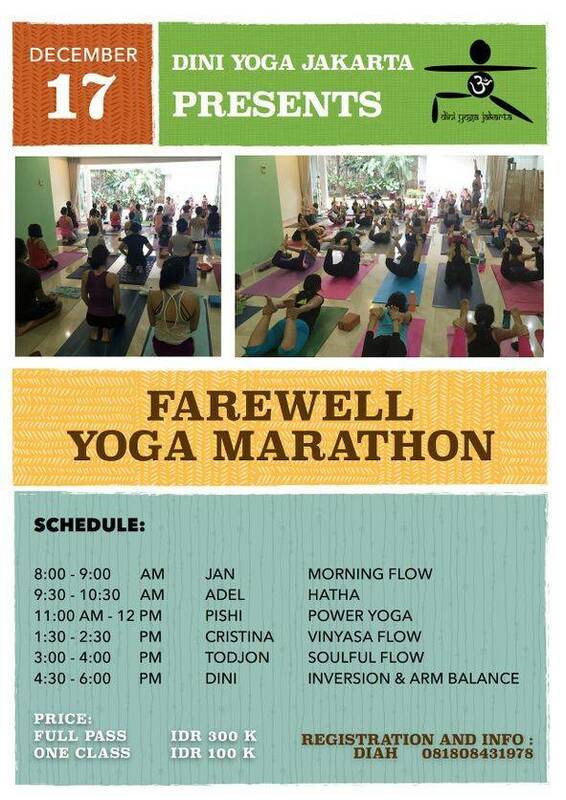 This is an all levels Vinyasa class. For some people backbending comes naturally and for others of us the idea of freedom in backbends takes a little more effort to find. Whichever category you fall into this class will look at how to deepen & create ease in your backbends by using your core to access your full potential. You will learn you how to use your anatomy to your advantage to create an empowering & liberating backbending experience. Come prepared for an invigorating Vinyasa based practice. Great discounts up to 50% is offered for teachers! Space is reserved and guaranteed, once payment is made. 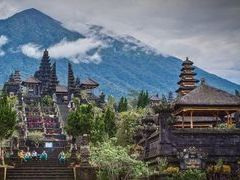 For payment from Indonesia, choose bank transfer option on Online Registration, please contact dimaharani@diniyoga.com or SMS to 081932566714 for more detail. *If you choose group of 3, please click 'add' button for the special instruction, to add the additional 2 names of the participants on PayPal site!